Campbellford Farmers' MarketRecord Owner? Log in. Corner of Front Street & River Street, Across from the TD Bank and the LCBO. A genuine local producers' market - vegetables, fruit, meat, flowers, plants, artisanal crafts, preserves, honey and home baking. 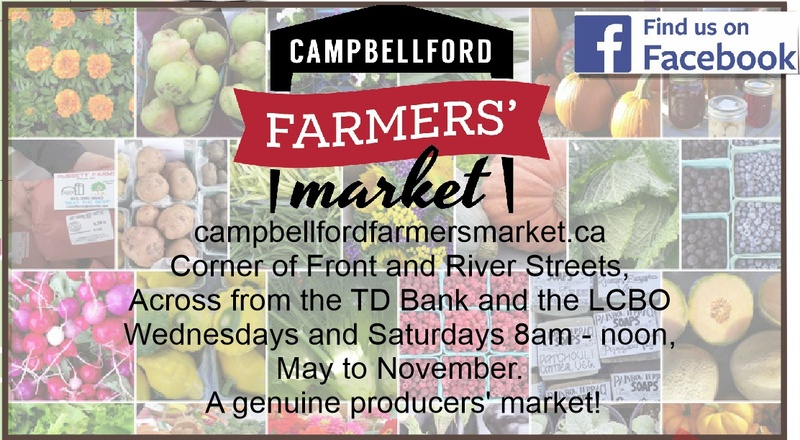 Have something to say about Campbellford Farmers' Market?